OK so nothing really that should prevent us going for him if he's the guy we want? His youth policy is abysmal. Just look at how he forced out lukaku by not giving him any chance. If he comes here then we will stop playing the kids. That's potentially true... I think he'd have to agree to some changes in his management style if he wants the job but yeah it's a risk! Thing is he's always been a three year guy. Comes in has great success for a while and moves on. When you do that you can't really give youth a chance. Maybe he's ready to finally take over a big project and run with it for longer? He knows we are a club that stick by the manager until it's pretty untenable. Look at LVG, he's been pretty woeful but he's still in a job. I know it's maybe stretching a little bit to think he'll change... He's done the same everywhere he's gone but this is United. This isn't Chelsea or Real where they chop the manager in a regular basis. Maybe he wants that stability? Anyway, right now the youth are getting a chance and if they continue to do well over the next few weeks maybe LVG won't be out of a job! And then they'll continue to get chances next season. Think it's the only way the club can go isn't it? Leave Woodward to run the financial side and get someone in to make footballing decisions... That's win win for everyone involved. Woodward has done too much good for the club just to be dismissed. But he's also shown he can't be trusted with footballing decisions. And despite the good performances in the last 3 games I still want LVG gone. People will argue he's giving youth a chance. I don't buy that, he's got no choice with a lot of his selections. Agree with what you're saying but he could have easily had a stronger first team squad to cover for injuries instead he chose to have a smaller squad and place faith in youth to cover. Very true and in some cases it's worked out for him... But is that also because in the last few games the pressure has been off? So the youngsters can play with more freedom. He's said in the past that he prefers to work with youngsters as they're more willing to do what he asks than established stars. True he has... But then based on what we've seen so far from LVG isn't that a worry? The way I see it the way the way Rashford and Memphis are playing right now is against how he wants us to play really? We've seen him train the creative side out of players so what's to say he won't again? If he likes that younger players listen then maybe that's what will happen? Does anyone believe the things media comes up with regarding our club anymore? I feel most of them are bs rumor mongers trying to get clicks for their sites. 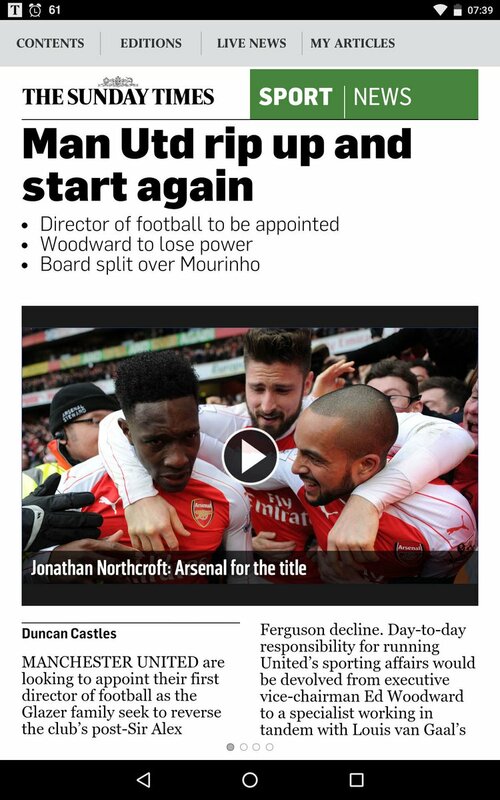 Either that or mourinho is lobbying hard for the job. Sport journalism is an easy job. Browse social media and fan forums, find the narrative, write an article on said narrative then sit back and watch the hits. Thing is, the article will reinforce the narrative and belief. I don't believe most of what I read now to be honest. It's easy to make a link between Jose and our club. He's a great manager, we are a great club and come the summer we may be looking for a new manager. Ooh and Jose is currently out of work. So 2+2 in this case must = 4 right?! See that was easy. OK I'll have my pay check now please! Ooh wait... Real are in crisis? Well they'll want Jose back for sure. So maybe instead of linking him with a return I'll actually say he's signed a pre contract agreement with United. Now there's a slightly new story! If as expected we fail to make top 4 and are dumped out of the cup competitions then they will sack him. Here's a thought though. Europa league win means Champions League. Enough to keep his job? At United yeah I think so. FA Cup and no top 4 though?! What is pretty clear though is that if we don't act decisively and quickly we may lose out on Jose! He isn't going to wait forever and there will be some big jobs available this summer including the Real job. Journalists write things they've been told about by "sources", doesn't necessarily mean it's true. Agents are constantly fuelling speculation on transfers or in this case a manager's job. Have no doubt that Mendes is behind a lot of this Mourinho speculation. Might be that talks have taken place and Mendes knows for sure that Mourinho has got it in the bag or that no talks have taken place and he's seen Van Gaal is struggling and is just putting his client's name forward for the job. It's a decent shout! He's out of work in the summer and he knows the league well. He has done a really good job with Chelsea since he came in so maybe... He wouldn't be my preferred choice but yeah there's a lot of sense to appointing him. Would he come though? He seems to have a lot of respect for Roman Abramovich. So are we to be taking from that, that he'll be in charge of United next season?! Seems the race is back on for LVG to get the sack! Despite a couple of good games and results it's back to the same nonsense. In a way I'm kind of glad though. Don't get me wrong I don't like to see us lose but maybe it's for the best?! Maybe for the good of the club we need to lose a few on the bounce so they sack this loser. Plus the added bonus would be that we don't get Europa League next season. The suits are a joke for not getting rid of this clown. After the game tonight it took a long time before LVG faced the media. I was hoping maybe he'd been sacked on the spot or was handing in his resignation. Actually can't physically stand to see the guys face anymore. Hearing him talk and seeing him on the TV just makes me angry so I turn it off. Who is Di Marzio?! I love how the Mourinho rumours have picked up again now that the results have turned. When we hit that good patch they want a bit quieter. Just goes to show the media really have no idea. Di Marzio is an Italian journalist, who I think is one of the more credible journalists (an oxymoron, I know). He's fairly confident Mourinho will be the next United manager. Translation: Mourinho has signed a pre-contract with Manchester United to replace Van Gaal. How many times have we heard and read this now? I was actually reading yesterday that we were stalling over giving him a contract. Nobody knows what is going on let's be honest. It's easy to make assumptions about what's going to happen but we really don't know. I'm not even sure right now the board know what they are going to do let alone pre contracts. Translation of the article above. The separation of Real Madrid and Jose Mourinho was an outlier.Rarely the president of a football club expressed regret over the departure of a coach Florentino Perez in May 2013. The maximum madridista responsible never stopped stroking the possibility of recovering Portuguese.This winter, the dismissal of Mourinho as coach of Chelsea opened a window of hope.One possibility that closes each day a little more, in view of the latest findings of managers Chamartin and as confirmed by sources close to Gestifute, the company representative Jorge Mendes, technical intermediary.Everyone agrees that Mourinho has signed a pre-contract with Manchester United to replace Louis van Gaal. English club next agents said the document attached to United and Mourinho is a common legal instrument in the football industry.The United guarantees the right to gain technical services for future seasons while Mourinho ensures the payment of compensation if your new employer finally desists from consummating the relationship with the signing of a definitive agreement.The United reserves the onerous possibility to terminate the agreement if in the coming months is a coach that seems most appropriate.If this happens, Mourinho would enjoy two deadlines for charging a growing consideration.If United did not sign the final contract before May 1, he must pay five million pounds (6.5 million euros);June 1 if still not sign him, he shall pay another ten million pounds (13 million euros).May is the key, understood as the month in which close the vast majority of the signings of players and sports strategy the most creditworthy institutions is designed. This conditional legal figure reveals two things.First, Mourinho will engage with United, a club I always dreamed of directing.Second, doubts sheltering within the leadership of United, that instead of sealing an unconditional agreement has been given a margin to probe the market for other alternatives. The council of the British club, the richest in the world after the signing of the new TV contracts Premier takes time debating whether to hire the former coach of Chelsea and Real Madrid.Among the supporters of the Portuguese is the accountant who holds the vice presidency, Ed Woodward.More reticent veterans like Sir Bobby Charlton, or it was until 2013 manager, Sir Alex Ferguson, who once ruled Mourinho and David Moyes decided to manifest.In the absence of agreement, the leaders have chosen the middle way of the preliminary contract.They tied Mourinho and meanwhile expect you to present a better option.The British press speaks of Mauricio Pochettino, manager of Tottenham, Ryan Giggs, Van Gaal's assistant, or Thomas Tuchel, coach of Dortmund. Madrid officials have spoken with Jorge Mendes for months to lay the groundwork for an agreement.To negotiate with all available information and to avoidbluffsby the representative, a madridista leader says the club carefully investigated the exact location of Mourinho.The result was the confirmation that their rights belong to United since February. Mourinho has been very reluctant to return to Madrid every time they have slipped down the suggestion.Is justified by saying that the Spanish club is mediated by political decisions, their relationship with the press is bad and can not lead to a locker room where they remain Ramos, Cristiano, Marcelo and Pepe, with whom he had bitter confrontations.close to the coach sources warn, however, that the real reason for his caution in assessing the return is the extreme sophistication of the Spanish coaches, capable of converting equipment retales and debutantes, as the Sports Union, Malaga or Eibar, fearsome competitive units.Barca is just the latest nightmare.The Spanish League, in his opinion, is the most dangerous. Master of opportunism as few, Mourinho is the most skilled coach that exists in measuring the commercial consequences of each of its steps.Its partners say the fall is concerned that marked his final season at Chelsea for their professional prestige.Increasingly technical secretariats beginning to believe that the method of Portuguese avant-garde a decade ago, has been somewhat out of date in 2016. The worst League to test it is the Spanish, where, according to the setting of the Technician, the school coaches has created a unique culture broth for innovation.Mourinho believes that his fame would be much less damaged if it fails losing matches against teams from large budgets, such as the Premier, if it is exposed to the many teams with little resources in Spain can make life difficult for anyone. So is there more to this than meets the eye? Or is it the media making a story because our last result was a good one and it's a slow news week for club football? I can't help but feel this means very little and I'd be getting my hopes up if I started to get carried away. But it surely can't be overlooked? Given he's featured prominently on the last two promo videos? Most ridiculous thing I think I've ever heard! And let it be said if they do keep LVG then I may be done with watching United until he is gone. I've stomached watching them this season despite it being unbearable because I thought it may be just for the season. But the more time goes on the more I'm sure we will keep him on. There's absolutely no good reason or no argument to keep him on. He's failed miserably in the two seasons he's been here. He's spent a load of money but taken us backwards. The way we play has gotten worse as times gone on. He's not promoted youth through choice it's been through force so I won't make that argument for him. And his tactics are more than useless. That story loses its credibility in the headline mentioning an '£80 million kitty'... Woodward would happily spend more of that on one player (Bale, Neymar) if he could. That's true and this report probably just piggy backs on the rumours that the club are going to stick by LVG! An £80m war chest really isn't much in football these days... Certainly not given the money we need to spend. But I still get this horrible and sinking feeling that we are going to stick by him. I hope we have Jose lined up and he's already planning like Pep and Conte will be. We can't get caught out. See that's the other side of it... Chelsea and City will already be planning for life under new managers. Arsenal and Liverpool know their current manager will be back next year so they can start planning as well. But if we haven't yet reached a decision then we may start already behind the game! Of course this is all speculation. Maybe the board have decided that it's time to move on from LVG. And I'm sure if they have then they'll be putting plans in place. A club of our size needs long term plans in place and can't afford to drift season to season (though the evidence since Fergie left is that's exactly what we've done). And on the other side maybe they are planning for life next season under LVG. But if they are then expect more of the same. We won't get the top top players because we likely won't have Champions League football and LVG won't be able to attract the best players. We'll play the same drivel and we all know LVG will be retiring at the end of next season anyway. My take on things from reading through reports are that we probably do have an agreement with Jose.. However aren't going to let that be known to van Gaal et al for fear of disrupting this current season, which would be a smart move if that is the case. City's season and to an extent Bayerns have been disrupted due to the Guardiola announcement - if we'd have publicly announced Jose in January it wouldn't have achieved much and lord knows where we'd be right now. Behind the scenes, prospective signings, agents etc Im sure would be briefed on the situation in confidentiality I'd imagine ahead of a potential move.